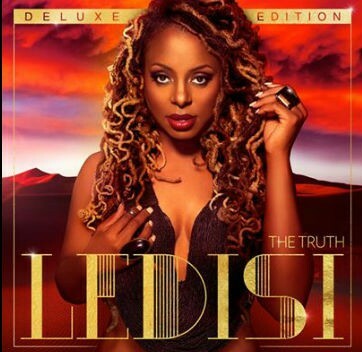 Ledisi’s new album, The Truth, was released just a few days ago (March 11th) and is now available in stores and on iTunes/Amazon. She is also preparing to start touring with featured artist, Robert Glasper. The festivities kick off April 16th in Jacksonville, FL in the meantime enjoy this flashback track as we celebrate her new album and the release of more good music. Not only is Idris a compelling actor and producer he holds a mean ear to the tunes DJing under the alias “Big Driis”. Get into his latest house mix, Look With Your Ears and tell us what you think. Virginia’s own Terry Packard best known by his stage name TSoul has a compelling and powerful voice. He delivers sweet yet strong emotions that can easily sweep any girl off her feet. TSoul was recently recognized for his talents last month as he performed live on the BET Music Matter’s stage. He performed tracks from his 2010 debut album “Love & Music” and even incorporated a smooth little remix of Usher Raymond’s 90s hit “Nice & Slow”. Check out more of his music here and don’t forget to comment below to let me know what you think. Michael alongside Miles Teller (Mr. Fantastic), Kate Mara (Invisible Woman), and Jamie Bell (The Thing) have been selected to play the lead characters in the new Fantastic Four reboot. 2oth Century Fox appears to be adding a modern twist to the cult classic; unfortunately a few die hard Marvel comic fans were not pleased. Comic fans took to social networks last week tearing apart the cast. Some were simply unhappy with the choice of actors, claiming that they do not fit the actual images of the comic book heros and would ruin the classic American story. Others ragged on the individual stars stating how Teller is too silly and young to be Mr. Fantastic, Mara isn’t even blonde and Michael B Jordan is black. For the most part, fans are highly concerned with how the story between Sue Storm and her brother Johnny Storm will pan out. In the comic, Jordan’s character (the Human Torch) and Kate’s (the Invisible Woman) are siblings. Yes, it is evident that Jordan isn’t a blonde hair, blue eyed; Caucasian boy but should that matter? He is an actor and regardless of the characters color that shouldn’t take anything away from him playing the role. Michael’s casting transcends the Hollywood color barriers and gives the young actor a chance to showcase his charm and youthful bravado, as he will need it to play the boisterous prankster: Johnny Storm. We find it disheartening that fans have come down so hard on the cast and Jordan especially. The whole point of being an actor is to act and clearly some people do not understand the definition of reboot. Let us help bring some clarity by defining the word. According to Wikipedia when referencing serial fiction, to reboot something means to discard all continuity in an established series in order to recreate its characters, timeline and back story from the beginning. Regardless of what social critics say the cast of actors are an interesting twist that will provide a new and stimulating vantage point. 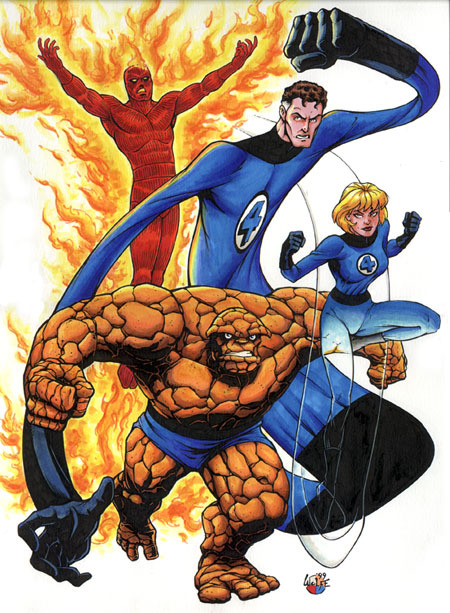 We’ll just have to see how the reboot pans out, until then congrats to the new Fantastic Four! What are your thoughts on Jordan playing the Human Torch? Chime in below. A perfect addition to the current Black History month celebrations; Virginia based rapper PHZ-sicks drops the visuals for the track ‘Black Women’ off his latest studio album, The Moment. Featured in the video are dazzling women including his mom and DC’s own DJ Heat. We hope you enjoy and don’t forget to leave a comment below to let us know what you think.